2019 CSA Shares Now OPEN! At Zawadi Farm, our aim is to create physical and economic access to sufficient, safe and nutritious food and to engage community members in educational opportunities and conversations centered around active and healthy living. Our produce is available for weekly local delivery or pickup. For individual orders of our products, reach out to us! Where do you buy from us? The best way to guarantee to receive your share of fresh veggies is to sign up for our CSA farm share program. Weekly vegetable shares can be picked up at our Farm Plot 1 or at the Angas Farm and Nursery Locations. To learn more about the farm share program please visit our CSA Farm Share Page. As a CSA Share Holder, your delivery will be made to your agreed drop off location. 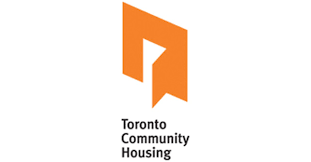 In partnership with FoodShare Toronto and Toronto Community Housing. Zawadi Farms organizes a community market on 75 Tandridge Cresent, using produce from our farm and other local sources.